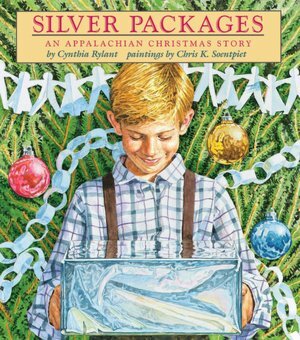 I first heard the story of the Santa Train when I read Silver Packages, a picture book by the ever-prolific and extremely talented Cynthia Rylant. (See Barnes and Noble website for more info:http://tinyurl.com/7s2oq6j). 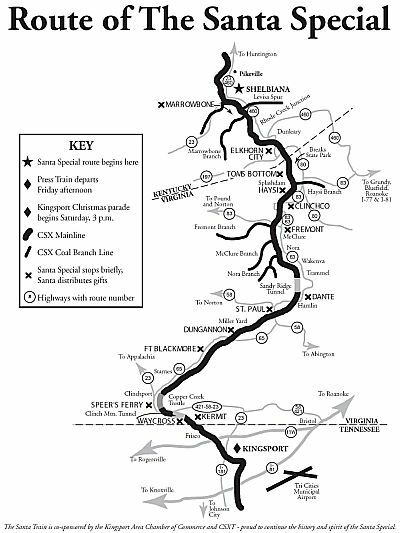 Reading the book inspired me to look up information about the real Santa Train — a tradition in Appalachia since 1943. 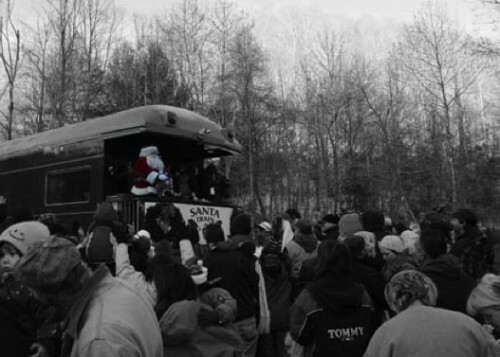 The train runs a 110 mile route distributing toys and candy to needy families along the way. Things like this always remind me how doing — for lack of a better expression — a good deed can grow into something huge and beautiful. So, how do you plan to spread Christmas joy? I’ll be making fudge, potato candy, 7-layer bars, and other goodies to spread far and wide — to my coworkers, the ladies who make my coffee, and whoever else crosses my path. This entry was posted in Rave and tagged Appalachia, Christmas, Christmas note, Cynthia Rylant, Holiday, Literature, Rave, Santa Claus, Santa Train. Bookmark the permalink.